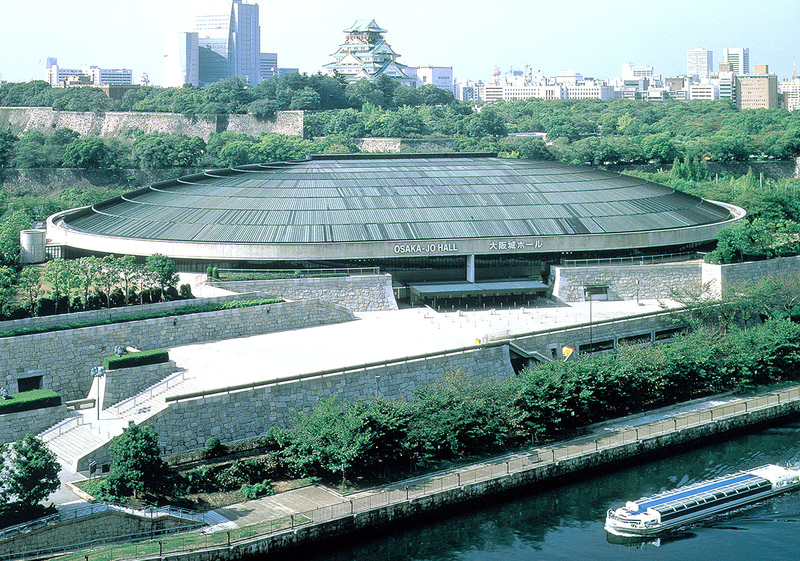 Built in 1983, the Osaka-Jo Hall is a multi-purpose arena able to hold as many as 16,000 people. A high-quality facility equipped with state-of-the-art sound and lighting systems, it has brought to Osaka a wide range of events such as concerts, theatrical performances, sports events, exhibitions, ceremonies, and trade shows from Japan and abroad. In this new century, Osaka-Jo Hall continues to play its roles as a first-class cultural center, conveying the message of Osaka to all of Japan and throughout the world. Osaka-Jo Hall has hosted world-class events including concerts performed by popular Japanese artists and international stars. Some of the events enjoyed at the hall are the annual winter performance of Beethoven's Ninth Symphony with a 10,000 member chorus and “Disney on Ice” during the summer. The hall has an annual usege rate of over 70%, and on this stage, the energy of entertainers and the excitement of the audience meet, creating countless unforgettable memories in the hearts of both entertainers and audience. Osaka-Jo Hall is called upon to provide a space fostering creativity, innovation, and new accomplishments. Conveying Osaka's spirit and energy to Japan and abroad, the hall functions as a forum for promoting international exchange in diverse fields of culture, sports, business, science, and technology. A venue for various sporting events such as: the International Indoor Track and Field Meet where many records have been broken; tennis tournaments and volleyball matches where top athletes compete; and Sumo bouts, professional boxing and wrestling matches that put spectators on the edges fo their seats. The arena's extensive 3,500 m2 space allows audience to witness right befor their eyes some of the most talented and famous athletes perform at their best. providing varying stage effects to best enhance the show. This layout provides extra space, and is best for concerts and ceremonies. Best for large-scale concerts and ceremonies. This center-stage layout utilizes the hall to its fullest capacity and is best for sports events and concerts. 5min.-walk from (JR Osaka Loop Line) Osakajokoen Station. 5min.-walk from Subway Nagahori-tsurumiryokuchi Line Osaka-Business-park station. 15min.-walk from (JR,Keihan,Subway Nagahori-tsurumiryokuchi Line) Kyobashi Station. 15min.-walk from (JR,Subway Chuo Line) Morinomiya Station. ※ Times may vary from those given depending on the line, service or route used. © OSAKA-JO HALL ALL RIGHTS RESERVED.